If Your Missouri Auto Insurance Cancelling in Missouri due to violations, accidents or unacceptable drivers, Call Now. If You have a Missouri Suspended or revoked driver's license and looking to get your license reinstated (SR22 filing in Missouri). Take advantage of our Express Reinstatement Service, your driving privilege can be reinstated within 36 to 72 Hours. The Express Service will assist with the documents required for reinstatement. If your driver license has been suspended in another state or revoked and now you live in Missouri and need to apply for the Missouri driver license, we can file an Sr22 in the state you moved from. All we need to know is if all the requirements for reinstatement are satisfied in the state you moved from . We are Your Missouri Sr22 Solution. You need to contanct usaautoinsurance.com NOW!!! If you are like many people that realize their current car insurance company premium seems never to go down but always increase at renewal time, we can offer you an affordable solution for these problems and definitely to a certain extent put you in control of the cost of your auto insurance. You select the coverages, limits and deductible that best suit your needs and budget. Also be aware the auto insurance industry changes on an unpredictable scale with some companies going up in price. This is your advantage; we match your driving style with the insurance company that gives you the best consideration. It may save you $$$$. 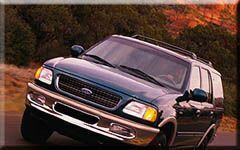 With our Missouri USA auto insurance, you are not only matched up with the particular Mo Auto Insurance Company that gives you the most favorable Consideration. You can control your cost by our system of helping you select the amounts, limits, deductibles and coverage details that best fit your budget and needs. Remember we handle the entire state of Missouri, St. Louis City, County, Joplin, Springfield, Kansas City, Joplin, Lee’s Summit, Raytown, Crocker, Richmond, Dunlin, Nevada, Unionville, Scotland, Lewis, Rock Port, Douglas, Jefferson, Columbia just to name a few. We are your Missouri Auto Insurance Solution...... For Sr22, dui/dwi, tickets and points suspensions.